Hi! 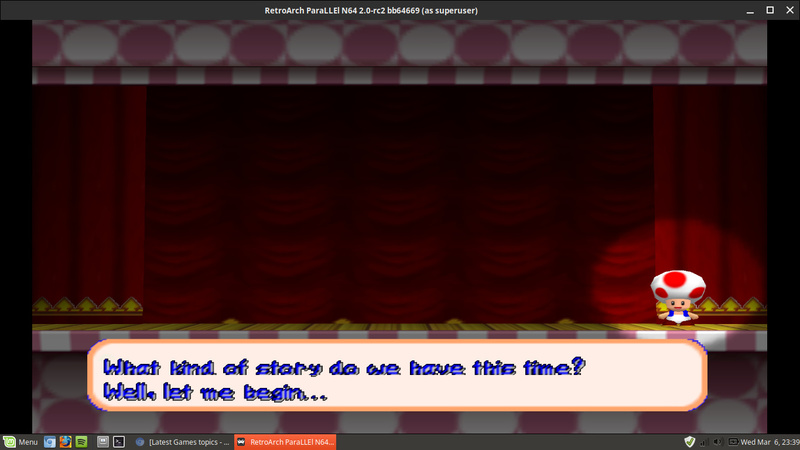 I have a text issue with Mario Party 2 for Nintendo 64. I am using ParaLLEl N64 core because it’s the only core which doesn’t lag on my pc (I have a little old HP Pavilion 15 with Linux Mint 19.1 installed). 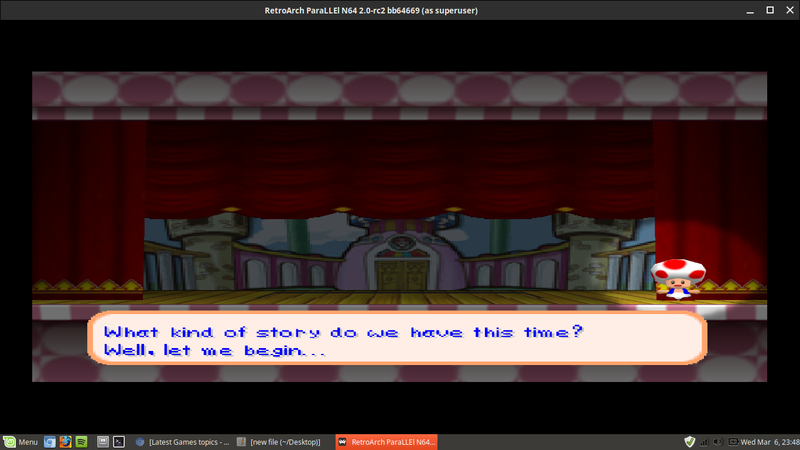 I obtain best image quality with “Texture filtering” set to “N64 3-point”, but with this setting texts are very bad as you can see in the first picture. Setting the Texture Filtering to “bilinear” I obtain the same issue. With “nearest” and “automatic” settings the text is ok (as you can see in the second screenshot) but image quality is lower when playing… Is there a way to fix this? Unfortunately, the black onlines are just part of the way the textures are sampled with 3point/bilinear. The answer is to switch to nearest/auto.